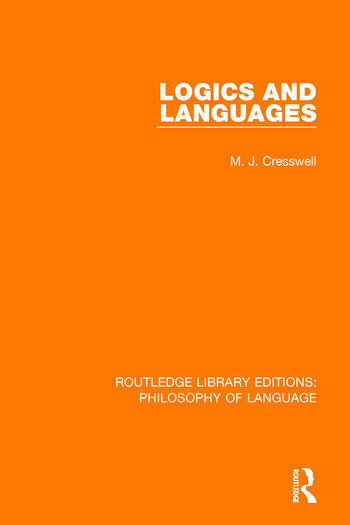 Originally published in 1973, this book shows that methods developed for the semantics of systems of formal logic can be successfully applied to problems about the semantics of natural languages; and, moreover, that such methods can take account of features of natural language which have often been thought incapable of formal treatment, such as vagueness, context dependence and metaphorical meaning. Parts 1 and 2 set out a class of formal languages and their semantics. Parts 3 and 4 show that these formal languages are rich enought to be used in the precise description of natural languages. Appendices describe some of the concepts discussed in the text.